We'll be having fun as well as trying to get this group off the ground. 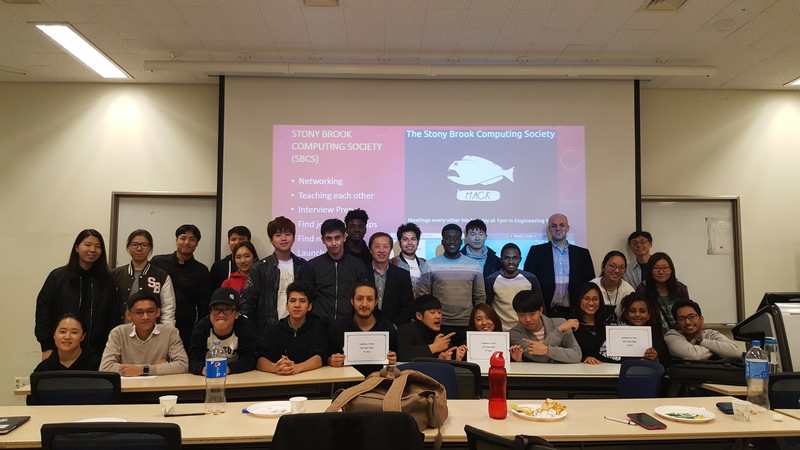 Note that back in Stony Brook there is a similar group called the Stony Brook Computing Society (SBCS) that has been around for many years and has thousands of members in industry. Students help students, alumni help students, alumni help alumni, and faculty help all, of course.